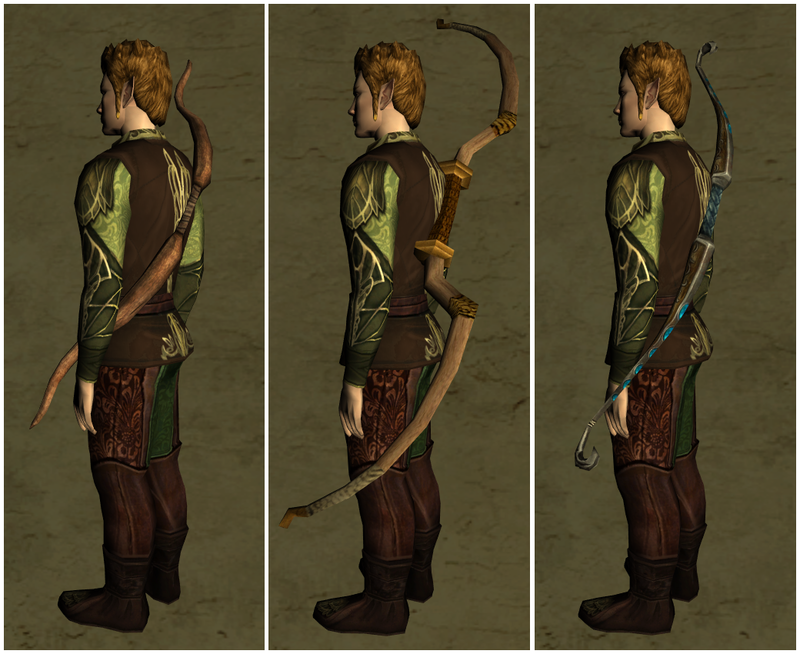 As the title says, this is a continuation of my bow collection. And as usual, beneath each one will be a description of that skin and how it can be obtained. Enjoy! 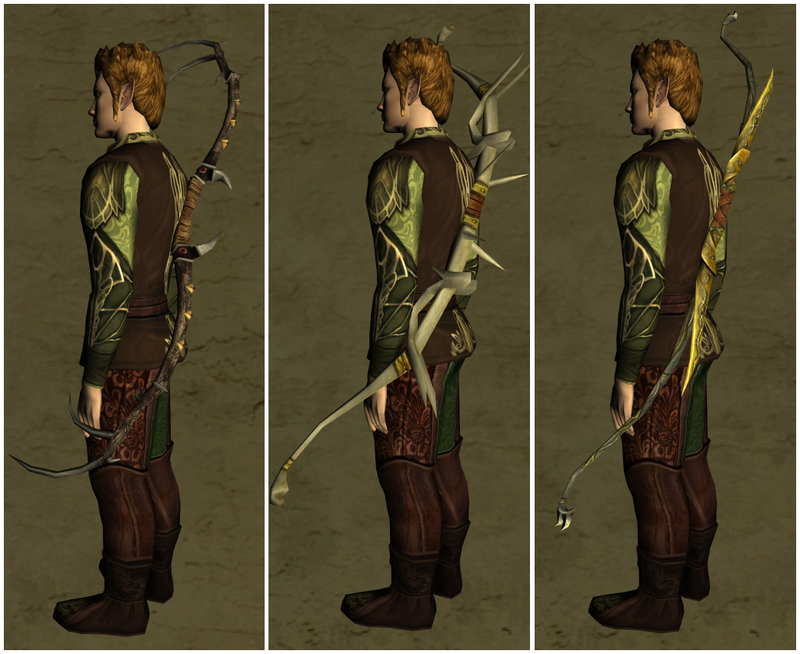 Yew Bow - Crafted from the recipe of the same name Naraphadon - A level 40 bow known as "The Sun Follower." 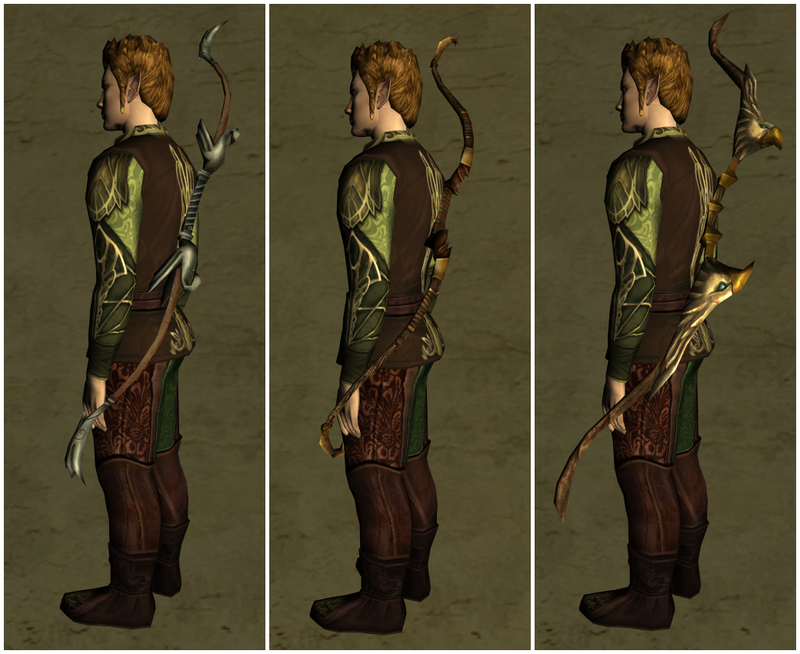 Bow skin is unobtainable and most likely from leftover Shadows of Angmar coding. 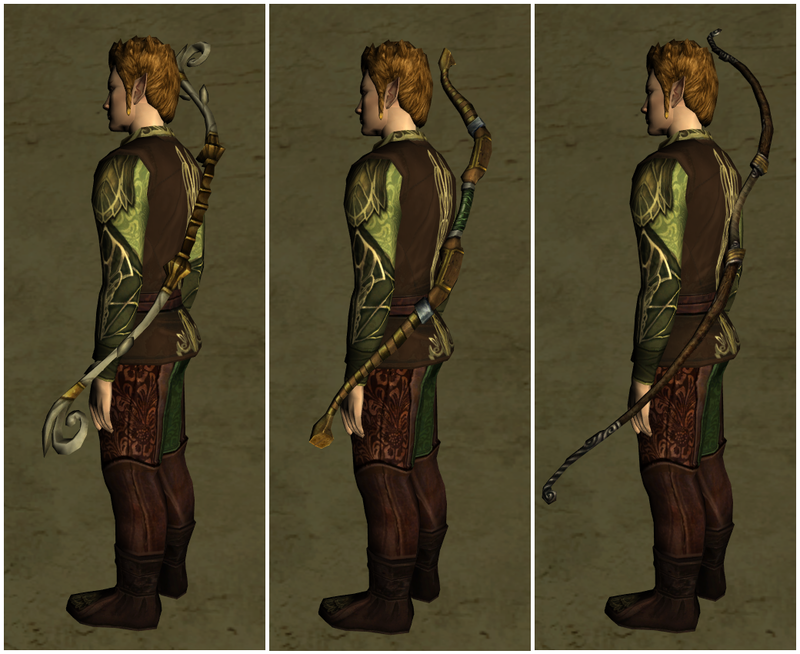 Tawarnel - A level 50 bow known as "The Wooden Teeth." 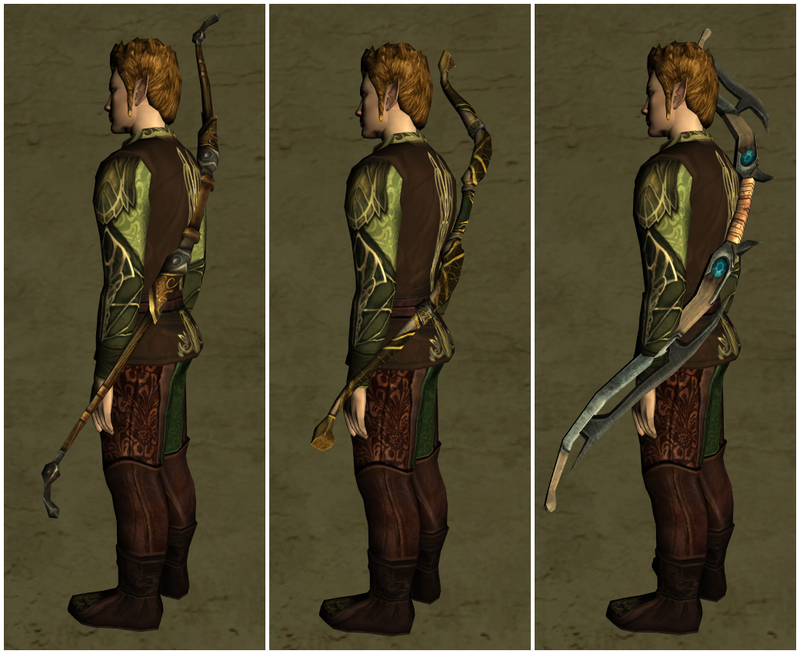 Bow skin is unobtainable and most likely from leftover Shadows of Angmar coding.